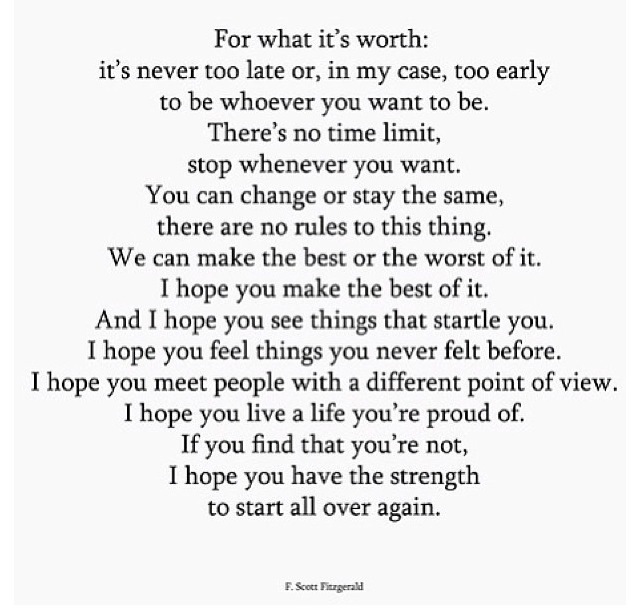 F. Fitzgerald said it best: it’s never too late or too early to be who you want to be…so start dreaming and start doing!!! It’s in you. You just have to believe!